I don't know about Juans, the foam in his appears to be die cut specifically for watches. The oval piece looks to be shaped as a watch roll. On mine, it's in like half inch cubes you pull out to fit the shape you want. 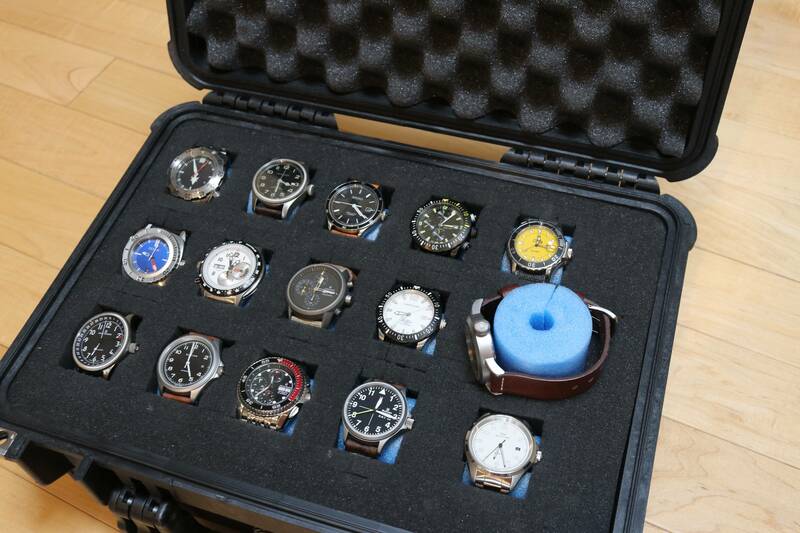 Then you have to fill the hole, but you don't want the watch flopping around. Mark1 wrote: Juans box, like his collection, is way more refined than mine. I made this one about ten years ago, because I couldn't find one ready made at that time. Yes, that is a pool noodle used to hold the watch upright in the slot. Works well and I can slide the whole box into the safe. Don't need safes here, a very wise guy lives in building. I have bought over a dozen straps from them...really nice stuff and great customer service. Thanks! I am a strapaholic.